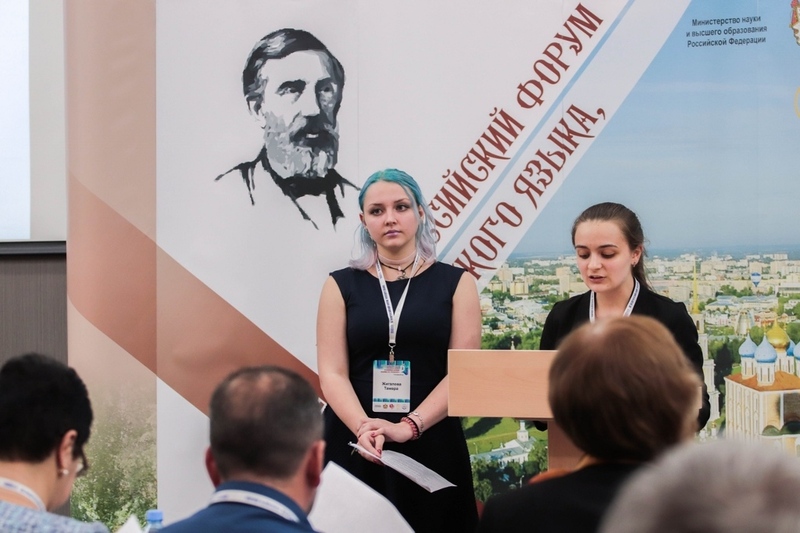 «The works of the forum participants were diverse, - says Elizaveta Zyryanova. – We discussed the issues of preserving the traditions of the Russian language, creating dictionaries, organizing events that promote the development of literate speech and popularizing the Russian language, creating interfaces that facilitate the use of literary sources and other topics». The program of the forum was full of various events. Students together with the project scientific leader, associate professor of the department of Russian literature, E.A. 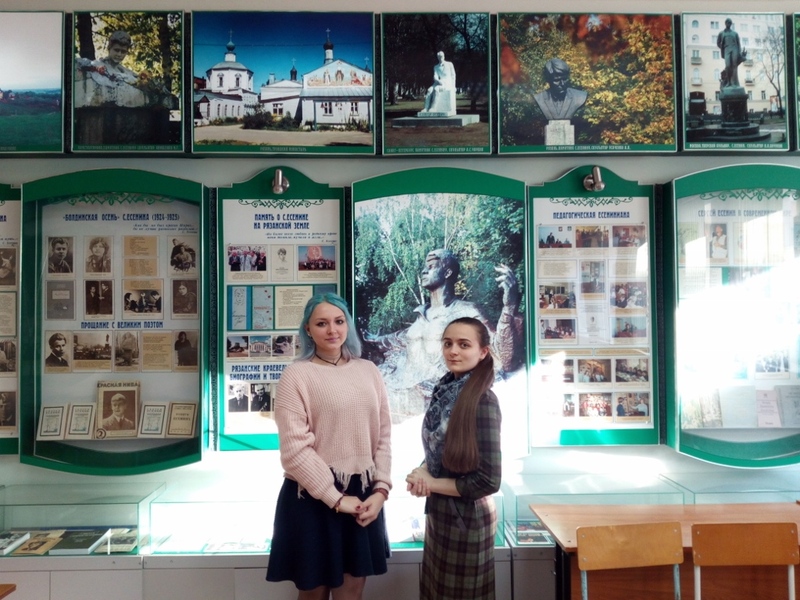 Safonova visited museums of the Ryazan State University, the birthplace of I.I. Sreznevsky (Sreznevo village) and S.A. Yesenin (Konstantinovo village), reserve-museum Ryazan Kremlin. The participants of the forum attended educational lectures of the best linguists in the country: «Princess Ye.R. Dashkova and the Russian language» (M.I. Chernysheva), «F.I. Buslaev and his role in the formation of the identity of the national science» (O.V. 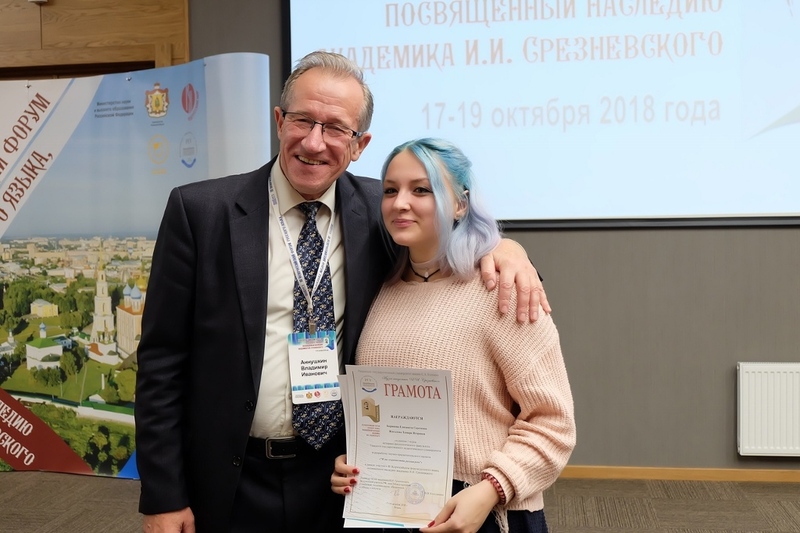 Nikitin), «The linguistic-cultural aspect of the studying and teaching of the Russian language» (V.M. Shaklein). «I would like to note a high level of organization of the forum, a friendly attitude, responsiveness and hospitality of the host country, - Elizabeth says. - We got an invaluable experience of communication with distinguished professors, the opportunity to discuss our projects in the student community. The organizers of the forum managed to create a wonderful atmosphere, the forum left only positive emotions and good memories».